For those of you buying and selling a home, you'll want to be aware of the increasing practise of Sale by Tender. It sounds like a simple envelope based bidding process, but be warned - all parties will pay a fee for the pleasure. When you sell your home it’s usual to pay estate agent fees to have the agent work on your behalf to sell your property at the best price. But now that some buyers are being asked to foot the bill we ask whether estate agents are working in their favour or are they just charging twice? 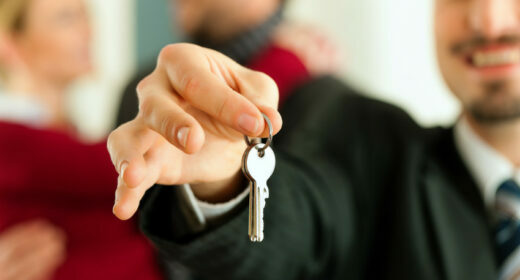 “Sale by tender” or “sale by informal tender” is becoming increasingly popular with estate agents. It means that buyers take part in a blind auction and commit to paying a finder’s fee to the estate agent, usually at around 2%, if their bid is successful. It might sound like estate agents have merely chosen to switch their allegiances and start working for the underdog in our current market that favours the vendor – that is until you realise that the sellers are still paying estate agent fees too. Yesterday, the Mail on Sunday quoted Paula Higgins of the Homeowners’ Alliance campaign group saying: ‘This is shocking: it’s another up-front cost buyers are being asked to stump up. We aren’t the only ones who think it’s a bad case of opportunism on the agents’ part. Property Ombudsman Christopher Hamer said he was ‘very concerned’ over the practice, which is most common in the hotspots of the South East. Stella Creasy, the Labour MP and shadow consumer minister agrees. Earlier this year she accused estate agents of hijacking part of the money that would usually go directly from the buyer to the seller. “[Buyers] have to offer a lower price for a property as they have to cover this cost as well as the purchase price. Consequently sellers get less money for their property despite also paying for the estate agent’s service. “The only people who do well out of these kinds of ‘sealed bid’ deals are the agents who get a nice fat fee from both the buyer and the seller,” she wrote on her website. In a reply to Creasy, the estate agent Douglas Allen, which has more than 100 branches currently offering sale by tender deals, said buyers knew what they were doing when they entered into this type of deal. “If buyers are at all concerned or deterred by the introduction fee, they remain at liberty to take this into account when making their bid. If a seller is not satisfied with the highest bid on the closing date, they remain at liberty to decline to sell.” they said. In the case of the Douglas Allen deal, sellers pay £150 plus VAT (excluding marketing), which could be considerably less than the average of 1.8% of the for sale price that sellers usually pay. But some say it’s unclear how the new system will work because the estate agents are effectively obliged to simultaneously work in the interest of the seller and the buyer, both of whom are now the client. “This means that any re-negotiation, perhaps after a less than favourable survey, any chasing of solicitors, etc., must be done in the buyer’s best interests. Mark Hayward, managing director of the National Association of Estate Agents, told the Guardian newspaper the change had come about because of the lack of supply in the UK housing market. “Common practice for estate agency fees is for the fee to fall to the seller in return for the agent’s role in marketing the property, securing the sale and negotiating the transition with the buyer and others who may be part of the chain. “However, given the current pressures on supply in the market, some agents may well consider changing their fee structures to encourage more sellers to the market by reducing fees for those selling a property and instead introducing a finder’s fee to help buyers find the right property,” he added. Well we agree there is a need for more transparency in fees. Estate Agents performed worst of all in our YouGov survey of trust in property professionals and this sort of murky practise of charging people twice is not going to help improve their reputation. How can I get estate agents on my side?